MARSHFIELD — The Chi-Hi girls cross country team had six of the top-23 finishers on its way to a team championship on Tuesday at the Marshfield Tiger Invitational at Wildwood Park. Katie Faris finished in second place with a time of 16 minutes, 11.7 seconds to lead the Cardinals. Maisie Wingert was third (16:45.1), Arica Swift took 11th, Meghan Cihasky came home 13th, Hannah Sillman took 22nd and Emma Meyer was 23rd for the Cardinals as they finished with 48 team points. Medford took second place with 86 points. Lakeland’s Nicole Gilman won the girls race in 15:58.6. Junior Erik Sworski finished in eighth place overall to lead the Chi-Hi boys. Sworski finished with a time of 17:59.2. Cole Fortman took 25th and Alan Fox finished 31st for the Cardinals, who were eighth as a team with 179 points. Medford’s Jarod Rudolph won the boys race in 16:45.9 and Lakeland won the team title with 35 points. At Bloomer, the Blackhawks boys finished in third place as a team at the Bloomer invite. Eli Olson led the way for Bloomer with a 12th-place finish, timing in at 19 minutes, 20.34 seconds. Joe Lanzer finished close behind in 14th (19:48.94) followed by teammates Cole Michaelson (19th), Alex Conrad (23rd) and Sam Lanzer (25th). Lake Holcombe/Cornell’s Trenton Glaus finished in 17th place and Sam Peterson took 21st. Spooner’s Daniel Pederson won the race in 16:04.50. Northwestern won the team championship with 35 points. Bloomer was third with 90 and Lake Holcombe/Cornell took seventh with 179. 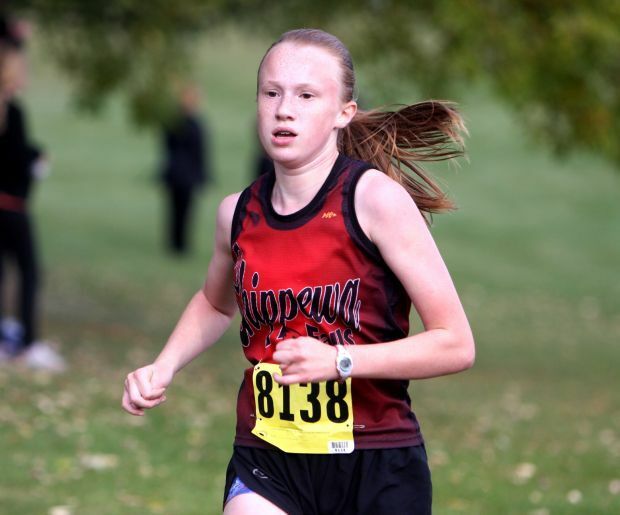 Bloomer’s Sarah Heinze finished in 14th place in the girls race to lead the Blackhawks. Heinze finished with a time of 24:32.97. Lake Holcombe/Cornell’s Lexi Moussette took 16th with teammate Kayla Vavra finishing 34th. As a team Lake Holcombe/Cornell finished eighth with 190 points and Bloomer was 10th with 262. Northwestern’s Emma Nelson won the girls race in 21:20.30 and helped lead the Tigers to a team championship with 33 points. At Lake Hallie, Lindsey Nelson shot a 51 to lead the Cardinals at the Big Rivers Conference meet hosted by Eau Claire North at Lake Hallie Golf Club. Kyra Coubal finished with a 56, Camryn Schaller shot a 58 and Cheyenne McGowan carded a 59 for the Cardinals as they finished in sixth place with a 224. Eau Claire Memorial won the team championship with a 174. Eau Claire North’s Lauren Klauck shot a 39 to take medalist honors. Chi-Hi plays at a conference meet on Thursday at River Falls. At Chi-Hi, the Cardinals won the first set but couldn't hang on in a nonconference loss to the Panthers (25-20, 23-25, 26-28, 17-25). Morgan Zerbian and Victoria Czech each had a team-high 10 kills for Chi-Hi (4-5). Brianna Buhrow added 24 assists and 15 digs, Cheyanne Pitzer had 23 digs and Sara Oliver added 13 digs, 10 assists and six kills. Chi-Hi plays at Eau Claire Memorial on Thursday. At Stanley, the Orioles rolled to a straight-set victory (25-11, 25-12, 25-8) over the Bulldogs. Jenna Hoffstatter led Stanley-Boyd (7-0) with 22 aces and added four kills. Jamie Reit had 12 kills and 11 digs while Bailey Ducommun had six digs and four ace serves. Reannon Hartzell had nine kills and a team-high six aces while Saylor Lechleitner added three aces. Stanley-Boyd hosts Cadott on Thursday. At Holcombe, the Chieftains scored an East Lakeland Conference victory over the Chiefs in straight sets (25-12, 25-6, 25-11). Chase Fronk and Courtney Lundmark each had 12 digs for Lake Holcombe. Kareese Jiskra had a team-high 10 kills and Lundmark added eight. Hannah Lee had 23 assists for the Chieftains and Aubrey Meddaugh had six aces. Both teams are back in action on Thursday when Lake Holcombe plays at Flambeau and Cornell hosts Winter. At Bloomer, the Blackhawks had a strong day in the doubles ranks, sweeping all three matches en route to the team’s first win of the season. Annie Dobbs and Hannah Raddenbach earned a 6-3, 6-3 win at No. 1 doubles while Rochelle Jones and Hannah Bischel (No. 2) and Britni Harms and Madison Catchot (No. 3) swept their matches 6-0, 6-0 for Bloomer (1-2, 1-0 Middle Border). Beth Wurzer won at No. 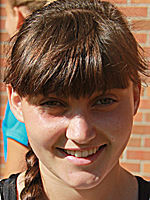 1 singles, 6-1, 6-2, while Rebekah Sarauer scored a 6-4, 6-1 victory at No. 4 singles. Bloomer hits the road to face Amery on Thursday. At Casper Park, Adam Erickson and Michael Hoffmann each had a hat trick as McDonell/Eau Claire Regis rolled to a Mid-State Conference victory. McDonell/Eau Claire Regis scored nine goals in the first half. John Farrow, Elliot Shakal, Wes Benish, Gavin Bowe, Austin Erickson, Joey Huffcutt and Nati Freeman Raehl also scored in the win. McDonell/Eau Claire Regis plays at Tri-County on Thursday. A lot of things went well for the Chi-Hi girls tennis team in its match on Tuesday, which made the loss that much more difficult to bear.